This scarf is just insane. You can now own your own invisibility cloak! The day has finally come. The invisibility cloak exists! Well not exactly, but if you want to be invisible in photos it is now possible. Today’s social media craze combined with cellphone cameras that rival Nikon has made it near impossible to avoid appearing in unwanted photos. Recently, it hasn’t always been our choice where we appeared until now. Dutch born Saif Siddiqui has invented The ISHU Scarf, which has the ability to make you appear invisible in pictures. This is the first invention of its kind as it gives you control over your image, and more power to decide what is shared on social media. The ISHU scarf is the ultimate accessory, as it complements any outfit, and gives you magical powers like Harry Potter! What more could you want? 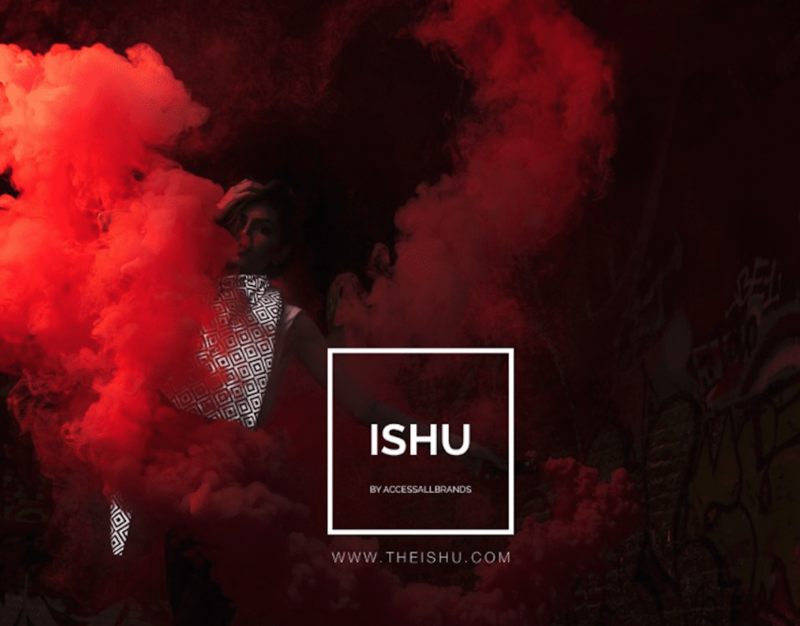 The ISHU has been featured in the Paris and London Fashion weeks, and was officially launched at Soho House Toronto in October 2015. Numerous celebrities already wear it, such as Nick Jonas, Jerome Boateng, and Major Lazer, just to name a few. We had the opportunity to speak with Saif about the scarf and why he created it. How did the scarf come to be? In 2009, I was visiting my family in Amsterdam with a couple of friends and we took a picture on an iPhone in front of a bike. We noticed the picture had been slightly ruined because of the reflector on the bike. I thought it was pretty cool that something messed up the picture. The first thing I thought of was: wouldn’t it be cool if you could wear something where you could control the outcome of the picture by completely blacking it out? I started experimenting with different ideas. One of the ideas I had was to create something that could be worn and that created the same effect. I needed something which could be easily carried around, worn and taken off. It had to be something which worked for every occasion and something that ‘Goes with every outfit’. The ISHU scarf was just that. The ISHU scarf effectively allows an individual to control what pictures and videos are taken of them. There are no more unwanted pictures and videos on Snapchat, Instagram, or Facebook! Everyone carries a phone with them nowadays that has an amazing camera. So, it all made sense to me. It took a very long time to get it right and it wasn’t easy to keep something you truly believe in a secret. I am pretty proud of myself for that one. That’s very cool. Were you expecting such a positive response from people? I started developing The ISHU in 2009. I thought it was the coolest thing ever, and after perfecting it over the last few years I’m extremely excited to share it with the rest of the world! The look on peoples faces when they first see what The ISHU can do is amazing. I see people being surprised and confused time and time again, as its something new and interesting to them. So it keeps me excited and hyper for sure. I officially launched The ISHU in October at Soho House Toronto with what was supposed to be just a few close friends, and a few people. However, what was supposed to be just a website launch turned into something crazy. It was insane to see the interest shown in the scarf. People were taking pictures, dancing around with it and calling it a modern day Invisibility Cloak! It was amazing to see people get it from the first picture they take. Can you tell us a little bit about the developmental stages and why you chose a scarf? If I tell you, I’ll have to kill you! Haha, I’m only joking! Once I had a good idea of the concept in my mind I wanted to ensure I had the right people around me to help create something like this from scratch. I needed the best team in place to bring my idea to life, and so I brought together stylists, designers, and developers from all over the place. I have an amazing team of professionals which I consider to be the best at what they do. I’ve experimented with a number of different things, but decided to launch the scarf first as it’s not as taste dependant like a jacket or blazer. We deliberately created the large ISHU for the launch allowing people to fold and wear it to match their individual style. To me, the most important thing about the whole development process was that I wanted to make a product that would be appreciated and complimented without knowing what it could actually do. I wanted to make something that’s cool and looks good! Showing someone what The ISHU scarf can do after they had already complimented the design is amazing! A scarf that protects against flash pictures, in a world where anyone can take that one picture you don’t want! Social media is everywhere, not everyone wants to be seen all the time. Making people go invisible in pictures and giving them back their privacy is what The ISHU was intended for. People have become very conscious of their own brand and image, and it’s only fair we give them the opportunity to manage and control it! We are doing a street concept and a high end Fashion collection for Paris fashion week as well. So, there’s a lot in store as we expand the team and network everyday. Can you tell us about some of the other items you will have in the collection? Unfortunately I can’t give away much, but there are some really cool items on the way – things people would not expect! I’m afraid you’ll have to wait for the collection when it is showcased at Paris Fashion Week. I think for now, we have our work cut out for us, dealing with requests for The ISHU and continuously expanding the business by partnering with people who are interested. Our Limited Black edition scarf is proving to be extremely popular with celebrities. We’re also working closely with a few exclusive luxury partners like Private Aviation firms discussing The ISHU pattern for the lining of the inside of a private jet! I know, it’s nuts, but very fun! I have never released anything I did not back 120%. I like doing things the right way which is why it has taken me this long to release The ISHU scarves. Can you tell us about some of the celebrities that are rocking the scarf? Well, every single day there are emails and text messages, or something! It has been great! Most of the celebrities that have found out about it within a month fully support us and appreciate it. We use the online Access All Brands platform to allow celebrities to request The ISHU from us directly. Major Lazor, Kiesza, Nick Jonas, Nina Dobrev and Hannah Simone are a few of the names who were rocking The ISHU at our first launch event. We can totally see the Kardashians, Kanye, Beyonce, and celebrities like that wearing it. Haha, a few people have brought up Kanye West, The Kardashians and Beyonce. It will be amazing if and when they reach out once they hear about it. I once heard Kanye speak about how he understands that the paparazzi are simply doing their job, but he states it’s only fair that as a human being he also has the right to not have to be chased and photographed all the time. I couldn’t imagine how annoying it could be when you’re just not in the mood. Privacy is important and should be an individual’s choice! The ISHU for me represents another option – an option to maintain your privacy, similar to what Kanye meant, I guess. As I mentioned with social media everywhere, everyone should be entitled to this option and to do things low key. We are changing digital content through The ISHU scarf! I’m sending one to you guys and let me know what your snapchat looks like when you use flash and the scarf! When will we be able to purchase a scarf? Where can we purchase the scarves? The first worldwide release is online at TheISHU.com. The second exclusive drop is at The Box Boutique store in London (South Kensington) during our launch campaign which runs till Dec ‘15. So when are you going to make an actual invisibility cloak? Lexus figured out the Hoverboard from Back to the future! So I think an actual invisibility cloak, is definitely doable. I think the modern day invisibility cloak against flash is a good start. Is there anything else you would like to add or say to your fans, and our readership that we may have missed? My fans? Not sure if I’m there yet, but It would be great to share the social media accounts for updates and the latest on The ISHU. Decoded Magazine North America would like to thank Saif for taking the time out of his busy schedule to speak with us, and to the entire team at ISHU Scarves for this breakthrough in fashion technology.